By Ellie Longman-Rood · February 1st, 2019 at 3:46 p.m.
Don’t fall into the trap of Instagram’s new “10 year challenge”. The new year has brought with it a new trend on Instagram of the “10 year challenge.” The idea is that you post a photo of yourself from 2009 alongside a photo from 2019 to show everyone how much you've changed. Our feeds have been swamped with evidence that Reese Witherspoon and other celebrities are ageless as their 10 year challenge posts. While we may have gotten swept up in this challenge, there are several reasons we should be weary of it. What has started as some harmless fun has turned into a way to trigger mental health episodes. As one user of the app explained in Metro for her it was a “massive trigger.” Uploading a photo of herself 10 years ago, before the journey she underwent with recovering from depression, loneliness and toxic relationships just brought all her negative feelings back the surface. Instead of clicking “post,” maybe we should all take a page out of her book. There is a further element of concern with this challenge, however. Surveys have shown that the age range that use Instagram most are those between 18-24 years old, which doesn't seem surprising. This means that in 2009 these individuals would have been between 8 and 14 years old. Why would we be endorsing people of this age to post a “glow up” photograph? It promotes the idea amongst the younger generation that they need to grow up quicker, and more worryingly it endorses the pressure society puts on younger girls to care about their appearance earlier and earlier. There is, however, one 10 year challenge that we should be giving our attention. This is one that has gone viral across all platforms of social media over the last week. I am, of course, referring to the devastating photos of the 10 year difference in our ice caps and our rainforests. Between 2009 and 2019 the effect we have had on the environment has been vast and highly negative. 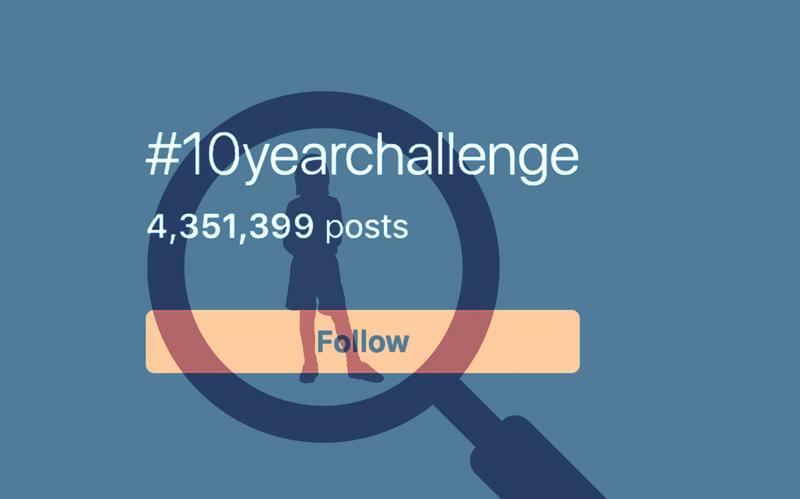 At face value, the “10 year challenge” is a innocent trend most likely aimed at increasing users and user hours. It doesn't always need to be a toxic post, just be sure to ask yourself before uploading what the reasons you have for doing so.